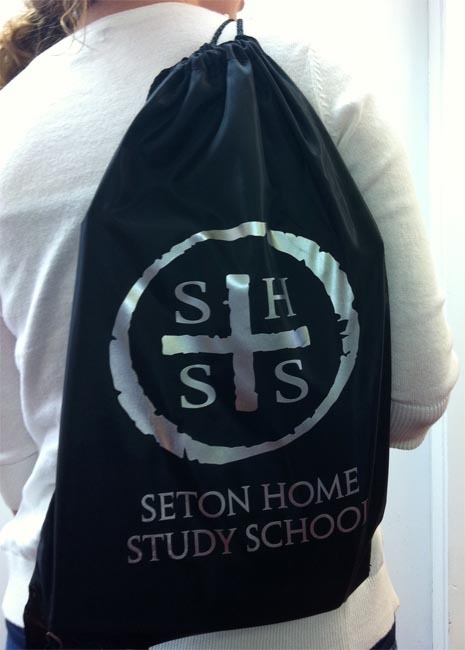 Seton Home Study School nylon drawstring sports pack made of 210 denier nylon construction with contrasting simulated black leather reinforcement at the corners. Black with Silver Lettering. We use them everytime we go out for a field trip or just strolling around the city parks. It holds bathing suits pretty well too!